Many decades ago Bill Gates dreamed of seeing a computer in every home and it’s a reality in all the homes of developed countries. The developing countries and other parts of the world are quickly adopting computers as a essential house hold item. With millions of people using computers everyday, many of them does not have the basic skill required to make use of them effectively – typing. Typing skills are essential for computer users to quickly type the information without looking at keyboard and searching for keys. Typing skills enhances ones ability to quickly complete tasks. 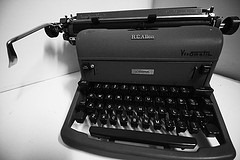 To learn Typing skills we use to go to institutes and practice with type writers. Those days are gone and institutions with type writers are very rare these days. These institutes are now replaced with several great websites that offer learning sessions online. With the help of these websites you can learn Typing at your own pace, convenient time and in a fun way – playing games. In this post we compiled a list of free online typing tutors that are useful for kids and grownups to learning Typing. 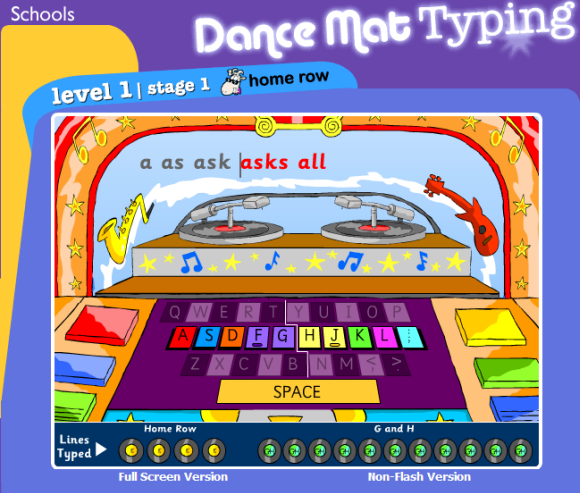 BBC’s Dance Mat Typing is an excellent free online tutor for your kids to learn typing. The tutor is full of animated characters with interactive guides to train kids. Kids will love this site and the characters that teach them typing skills. The learning program is designed in 4 levels with 3 states in each level. The 12 stages of the typing lessons guides the users from basics to intermediate skills of typing. If you want your kid to learn typing, then this site you should bookmark. This site is for serious typing learners who want to learn typing with professional curriculum. The website is designed in an elegant and simple interface for easy navigation. The site offers a vast amount of typing lessons that are organized in an excellent way to suit your typing needs – Beginner Courses, Intermediate Course, Advanced Courses. If you don’t know typing then you can start taking the Beginner courses, if you know the basics and looking to improve your skills then Intermediate Courses are the one to start. If you want to be a skilled typist then go for Advanced Courses. Apart from these categories, the site also provides Special Lessons, Premium Lessons (you need to swipe your card! ), Certifications and many more. This is another beautiful and clean website that lets you learn typing without any distractions. On this site you don’t see a single ad while taking the typing lessons. That’s strange and good for the visitors like you and me! You can learn typing with the help of 16 lessons that guides you from basics to advanced level. 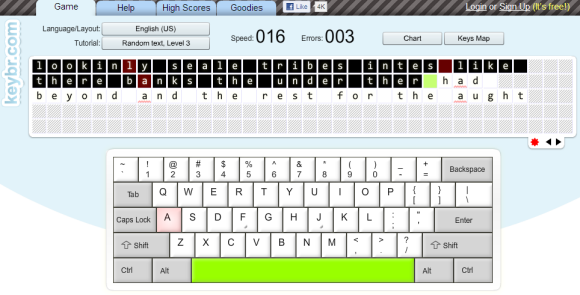 Keybr.com site lets you learn and practice alphabets typing through 3 levels of typing sessions. The site interface is very good but does not offer much lessons when compared to other sites. This site is for someone who want to learn just get to know about the basics of typing by practising only alphabets(no numerals or special keys). Do you know any other sites which are useful to learn typing? Let’s hear you through comments.